When will be Late Night with Seth Meyers next episode air date? Is Late Night with Seth Meyers renewed or cancelled? Where to countdown Late Night with Seth Meyers air dates? Is Late Night with Seth Meyers worth watching? Seth Meyers, who is Saturday Night Live's longest serving anchor on the show's wildly popular "Weekend Update," takes over as host of NBC's Late Night — home to A-list celebrity guests, memorable comedy and the best in musical talent.As the Emmy Award-winning head writer for "SNL," Meyers has established a reputation for sharp wit and perfectly timed comedy, and has gained fame for his spot-on jokes and satire. Meyers takes his departure from "SNL" to his new post at "Late Night," as Jimmy Fallon moves to The Tonight Show. 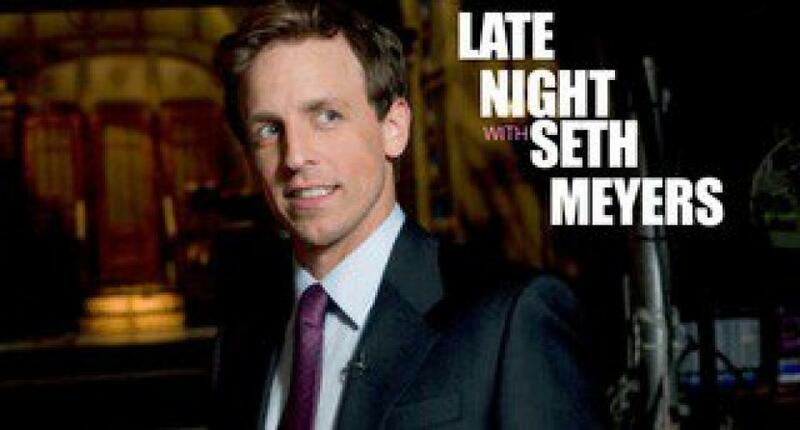 Late Night with Seth Meyers next episode air date provides TVMaze for you. EpisoDate.com is your TV show guide to Countdown Late Night with Seth Meyers Episode Air Dates and to stay in touch with Late Night with Seth Meyers next episode Air Date and your others favorite TV Shows. Add the shows you like to a "Watchlist" and let the site take it from there.